When you boil it down, there are two types of disorganization: Situational and Chronic. Situational disorganization happens after a life event (Move, New Job, Marriage, Divorce, Death of family member, New Baby) and is usually temporary. The Chronically disorganized usually have a life long struggle with organizing or can stem from an injury, illness or a brain based condition like ADD, ADHD, dementia or Alzheimer’s. I am going to share with you the top four reasons chronically disorganized people don’t hire organizers. 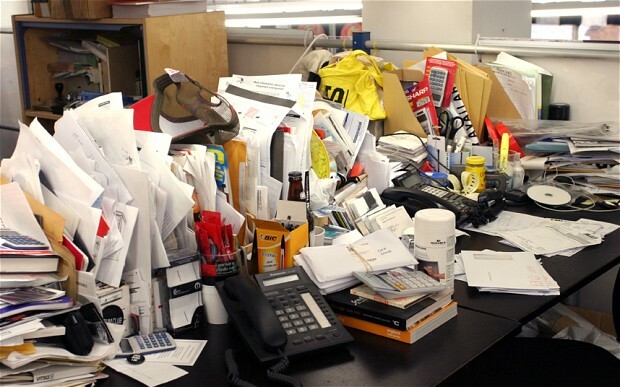 If you have tried numerous times to get organized and can’t, you have a pattern of disorganization. You are probably not showing hoarding behavior and your situation isn’t bad enough to be on one of those TV shows, but your disorganization is probably getting in the way. You have probably paid late fees for some of your bills, failed to send in a permission slip for your child’s field trip or even missed a deadline at work. Every day, I run into people at the gym, my kids’ school and networking events and when people find out what I do, they often say, “Wow! Can you come to my office (house, etc)?”. Then, when I tell them that I would be happy to and that they should give me a call, they don’t. When 43% of people say they would categorize themselves as “disorganized” and all the statistics out there show that being organized saves time and money, increases your chances of work promotions and reduces stress, I would think that you would WANT to get organized. I don’t have the time. I am so busy that I just can’t take a whole day (or series of days) from my work to organize. The average person spends 2-3 hours per week searching for things. So, spending a day with us will only cost you the 4-6 hours that you would have lost anyway searching for things AND you won’t lose those 2-3 hours per week in the future. The loss of office time in the short run will save you hours every week in the long run. We can spread out your sessions over several months so that you can work around your schedule. Plus, we offer maintenance packages so we can help you stay on top of things so you never get back to where you are now. I am too embarrassed to let you see my office. I am sure my office is the worst you have ever seen. I have been in business for 14 years and helped hundreds of clients. I am positive that your office is not the worst I have ever seen. We do what we do because we LOVE to help people just like you make huge improvements in their lives. When you see a disorganized space, we see a finished, functional space that is a pleasure to work and live in. Plus, it is worth the pain of letting me help you to stop the months or years of embarrassment coming in the future if you don’t take the time to get organized AND learn the skills to stay organized. Your disorganization may have cost you clients, raises or even a promotion or two. Stop letting it get in your way so that you can be the organized, confident rock star that you are meant to be. It costs too much to hire professional organizers. With Consumer Reports saying that you can increase the value of your home by 3-5% by decluttering and getting organized, https://tinyurl.com/n65krne and employers saying that they are 30% more likely to pass over someone for a promotion if they appear disorganized, it is costing you WAY more money to stay the way you are, than to hire professionals. And, that doesn’t factor in the money you have wasted by throwing out expired food, late payments on bills or buying items you already own but couldn’t find. Yes, hiring organizers costs money, but it is an investment in your physical, mental and financial health and often reduces tension in your relationships as well. Think of us a personal trainers for your stuff and life. We help you “lose weight” (declutter), “strength train” (learn skills to help you stay organized) and provide the support and accountability to maintain what you have achieved. I can do it myself. I don’t need to hire anyone. I also hear people telling their spouses that they don’t need to hire and they SHOULD be able to do it themselves. No, they can’t or No, you can’t! If you could, then you would have already done it and you wouldn’t be seeing negative consequences of the disorganization. You need help! This is not a failure for you as a person, this is a recognition of an area where you need to “build muscle” and a professional can help you figure out a system for how YOUR brain works and learn the skills to help stay organized. Having an appointment on the calendar, me showing up at your door and you having paid money for the session, will all keep you focused on getting the job done. Stop letting excuses get in the way. Get organized and make the commitment to work your systems so that you stay organized. It will reduce your stress, save you money and make you look like the rock star that you are in every other part of your life!